1980's Contemporary meets Cape Cod Split Level Bayview Home has 3 bedrooms, 2 full baths, large living room with ceilings soaring to 20' in the middle, accented with large raw timber beams, good sized kitchen with eat in dining and breakfast counter, both with views of Galveston Bay. There are two bedrooms downstairs which are currently a guest room and an office. 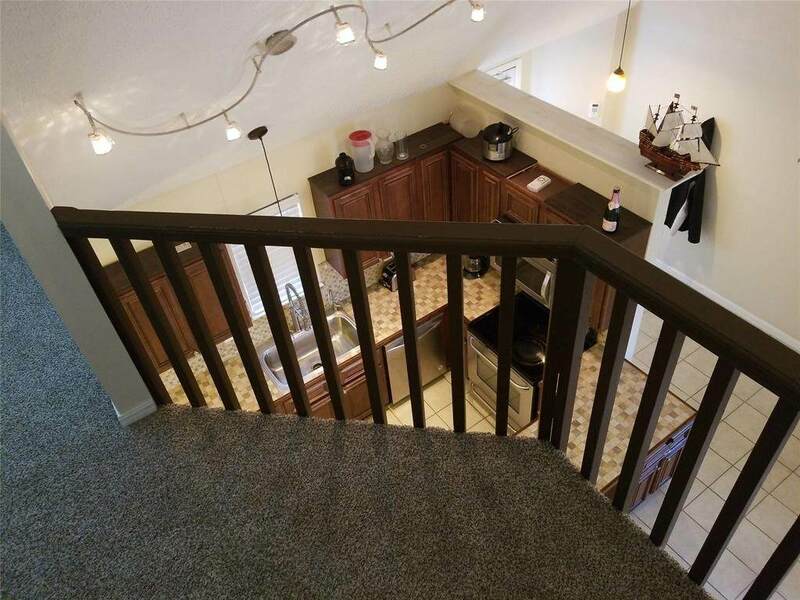 Upstairs is a flex space room for an office, playroom, hang out space, etc. 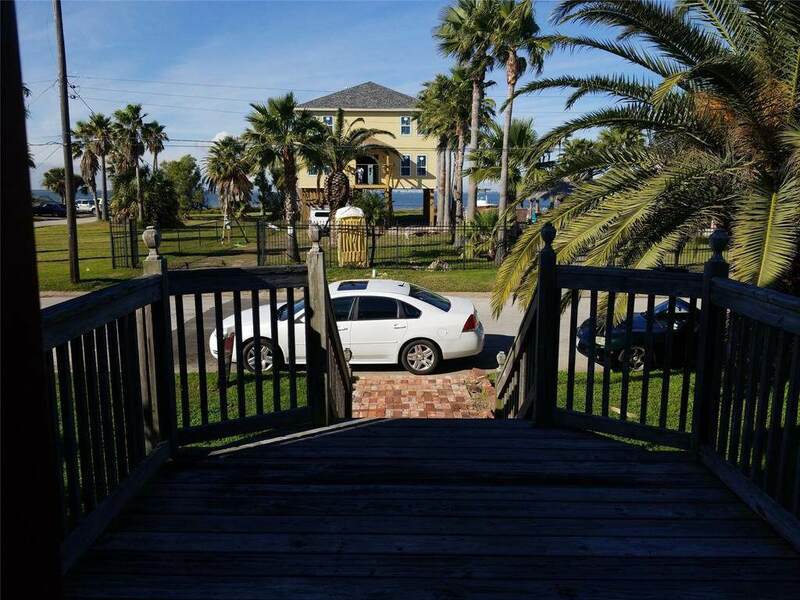 that features windows overlooking Galveston Bay, the 3rd/master bedroom and ajoining bathroom which has tons of cabinets and a walk in shower. Currently used as the master suite, this could easily be a great kids bedroom with playarea, guest suite, office area, etc. The fully fenced back yard has several levels of decks with seating and storage. 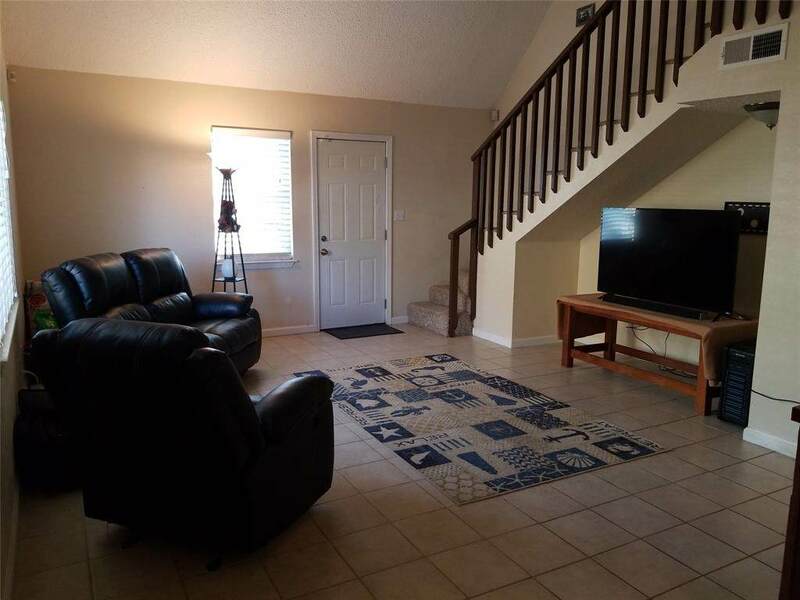 Included in the sale are the refrigerator, front loading washer and dryer and wireless alarm system. Most of the furniture is available for purchase, contact William for specific details. Listing courtesy of Real Living The Hatmaker Group.